Clark Griswold, the bumbling patriarch of the Griswold clan portrayed in the 1989 classic “Christmas Vacation,” has nothing on Storms. The Nvidia compiler verification engineer is everything Griswold is not: meticulous, energy-efficient, safety-conscious, and considerate of the neighbors. 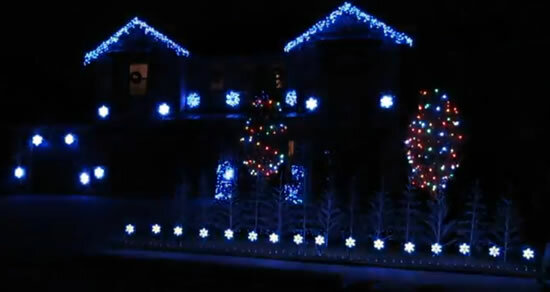 While Griswold infamously put up 25,000 energy-sucking incandescent lights, practically blinding the couple next door, Storms is more careful. Rather than clambering about perilously on his roof, Storms hired a crew of pros to help put up any lights more than 15 feet from the ground. He used software from Light-O-Rama to choreograph his displays. Storms even operate a small FM transmitter so people driving by his home can listen to the music that accompanies the light show.